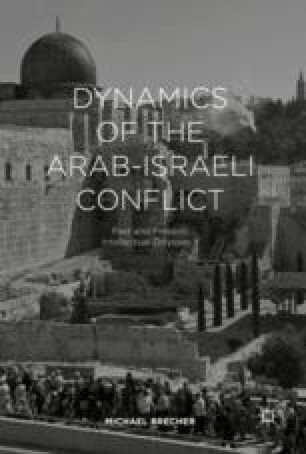 This chapter employs the concept of conflict-sustaining technique to illuminate the behavior of one or more conflict acts that contribute(s) to the persistence of the Arab-Israel protracted conflict (PC). These acts are of four types: violence, political hostility, economic discrimination, and verbal hostility. The nine wars in the Arab-Israel PC, from 1948—Israel’s War of Independence and the Palestinians’ al-Naqba (The Catastrophe)—to 2014—the destructive Gaza War, the largest number of full-scale wars in all 33 PCs active since the end of World War I, testify to the centrality of this conflict-sustaining technique. So too do the 30 international crises within the Arab-Israel PC, the largest number of crises, acts of political hostility, within a single PC. Economic discrimination, in the form of the Arab League’s economic boycott of Israel, persists after half a century but has long ceased to be operational or significant. And verbal hostility, while endemic, has been much less consequential than violence or acts of political hostility.